The conservative Republican who co-authored America’s Patriot Act is preparing to unveil bipartisan legislation that would dramatically curtail the domestic surveillance powers it gives to intelligence agencies. Congressman Jim Sensenbrenner, who worked with president George W Bush to give more power to US intelligence agencies after the September 11 terrorist attacks, said the intelligence community had misused those powers by collecting telephone records on all Americans, and claimed it was time “to put their metadata program out of business”. His imminent bill in the House of Representatives is expected to be matched by a similar proposal from Senate judiciary committee chair Patrick Leahy, a Democrat. It pulls together existing congressional efforts to reform the National Security Agency in the wake of disclosures by whistleblower Edward Snowden. 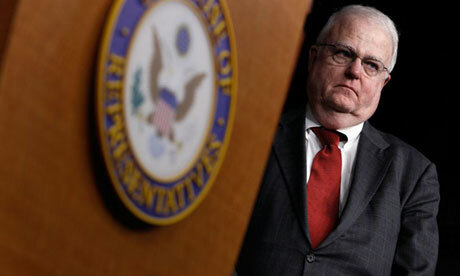 Sensenbrenner has called his bill the Uniting and Strengthening America by Fulfilling Rights and Ending Eavesdropping, Dragnet-Collection, and Online Monitoring Act – or USA Freedom Act, and a draft seen by the Guardian has four broad aims.